Two pupils were seriously injured at Lentegeur High School in Cape Town on Monday morning. This is after two fellow schoolmates allegedly stabbed them on the premises, the Western Cape Education Department said. "They have received medical attention and are both stable. One will be released on Monday and the other, with a head and neck injury, on Tuesday," department spokesperson, Bronagh Hammond said. According to Hammond, the attack happened just before the school day started. The victims are in Grades 10 and 11 while the alleged perpetrators are in Grades 9 and 11. "Emergency security was arranged and counselling has been offered to both educators and learners," added Hammond. Hammond added that the department and school community were concerned by what had happened. Police are investigating the stabbing. "The motive for the incident is currently unknown," said police spokesperson Captain FC van Wyk. "A case of assault has been registered by police and the investigation is continuing." In a separate incident on Monday, a 14-year-old boy was stabbed in Pietermaritzburg. 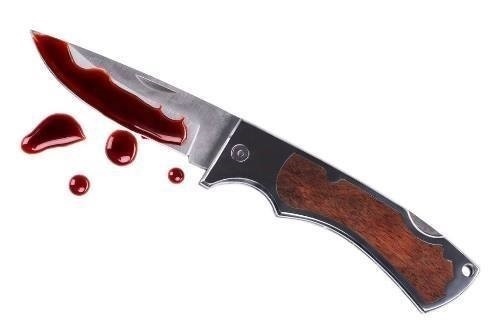 ER24 spokesperson Russel Meiring said that the boy was hospitalised after he was stabbed at a school in Manor, outside the CBD. "On arrival, paramedics found a 14-year-old boy being treated by an on-site nurse. The boy was assessed and found to have sustained stab wounds to his arm, shoulder and back," said Meiring. Paramedics treated the boy and transported him to Northdale Hospital for further care. It is understood that a fellow pupil used a pair of scissors to stab him. The incident was reported to the police for further investigation.